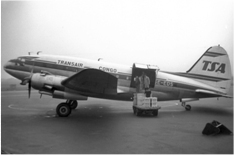 Transair was asked by the United Nations to assist with air transportation in Congo. 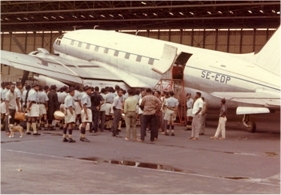 In 1960 two Super Curtiss aircraft, SE-CFC and SE-CFE with crews and technical staff, were chartered by the UN. 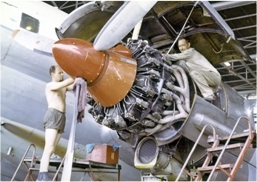 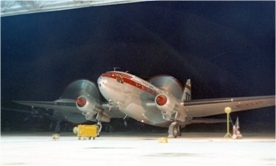 Later the company was also asked to supply a DC 6 to the operations. 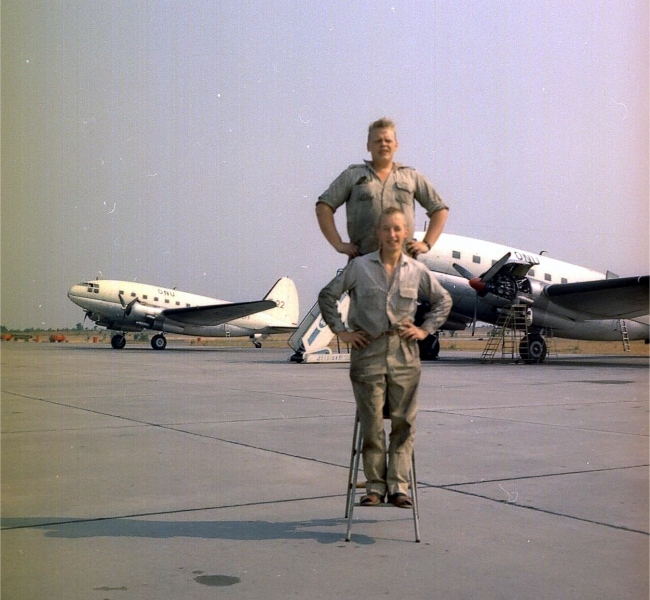 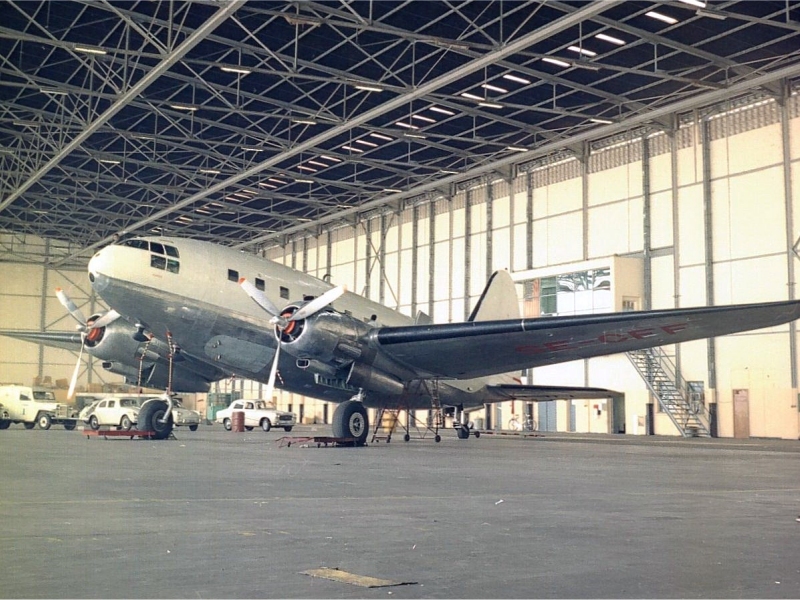 Since then, and until the UN operations in Congo terminated, TSA had equipment and personnel stationed in Congo and had operated with as many as six Super Curtiss, two DC 6 and a staff of 50 based in Leopoldville. 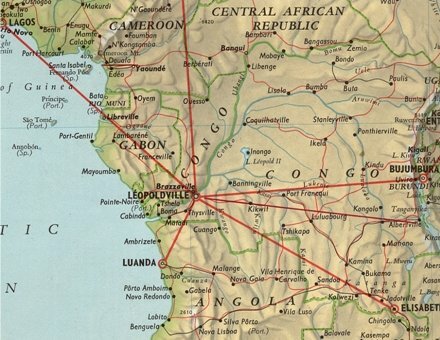 Map of Congo from the time period when the TSA operations for ONU took place. 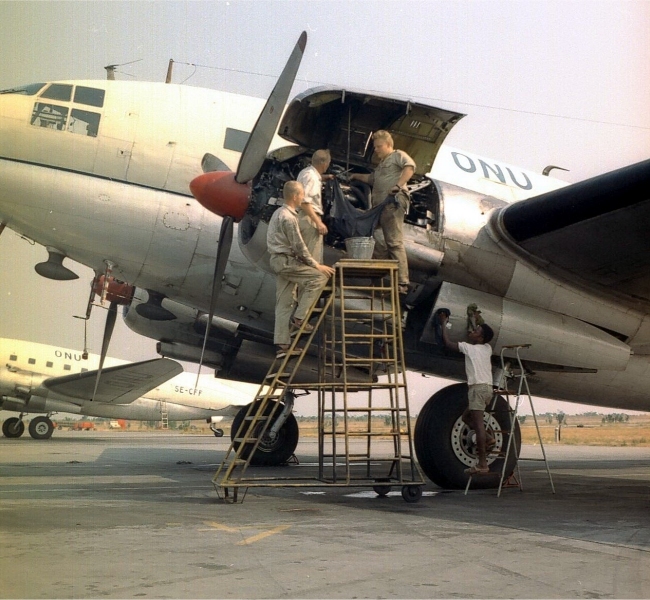 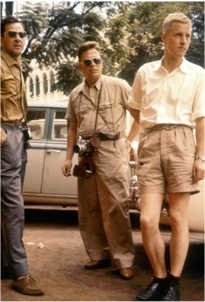 Operations continued until late 1963 when the UN handed over management to the Congolese authorities but TSA was asked to place staff and aircraft in Congo at their disposal. 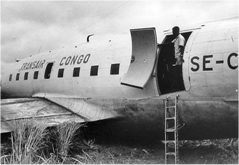 Below you will find pictures from the Congo Operations, including comments and descriptions. 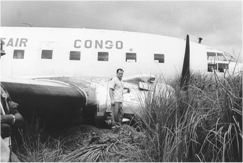 The pictures have arrived from Captain Hans Hanes who served with Transair in Congo. 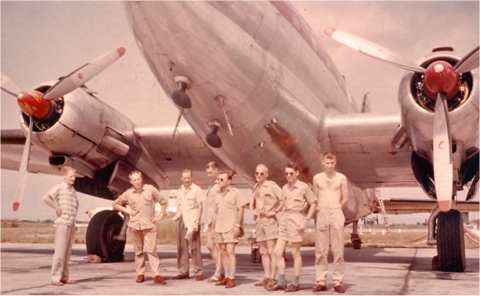 The picture shows Capt. 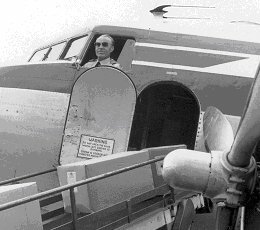 Hans Hanes during another flight, this time as Captain on a Transair DC 3 flying the SAS pendel between Malmoe and Copenhagen. 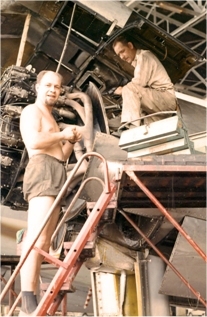 Further down on the page you will find pictures from Rolf “Mellis” Mellström. 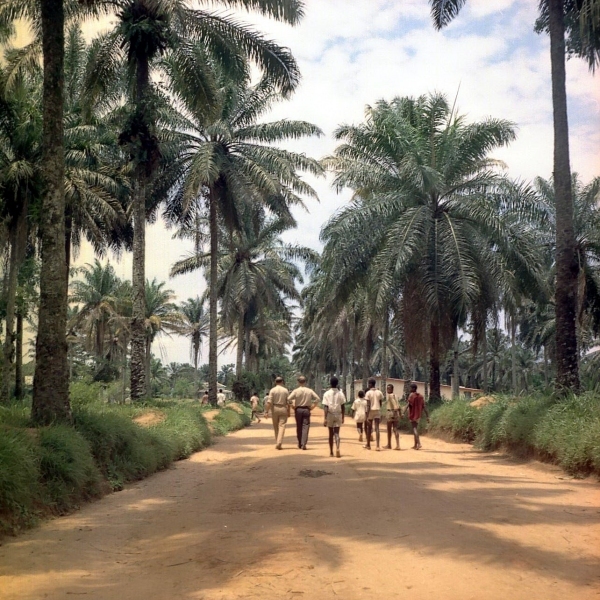 Center of Leopoldville with Stanley Hotel to the right. 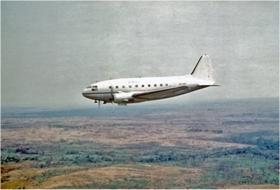 The wide Congo river at Leopoldville. 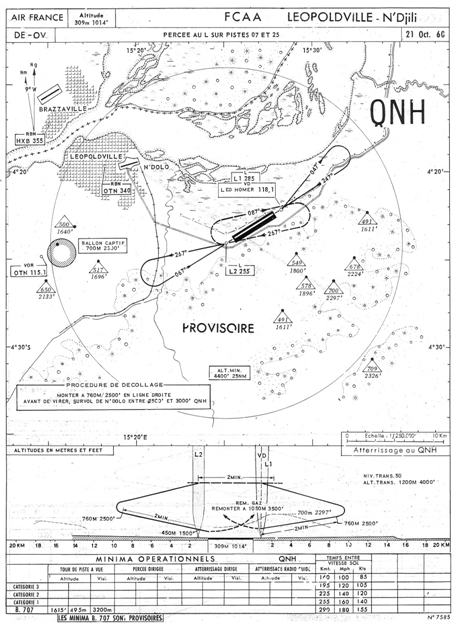 Not visible on the other side of the river lies Brazzaville. 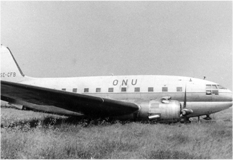 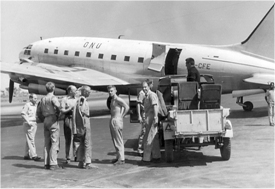 A Norwegian DC 3 chartered by ONU. 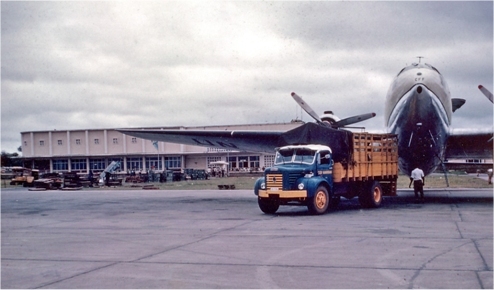 Seen here ready to load at the tarmac in Albertville. 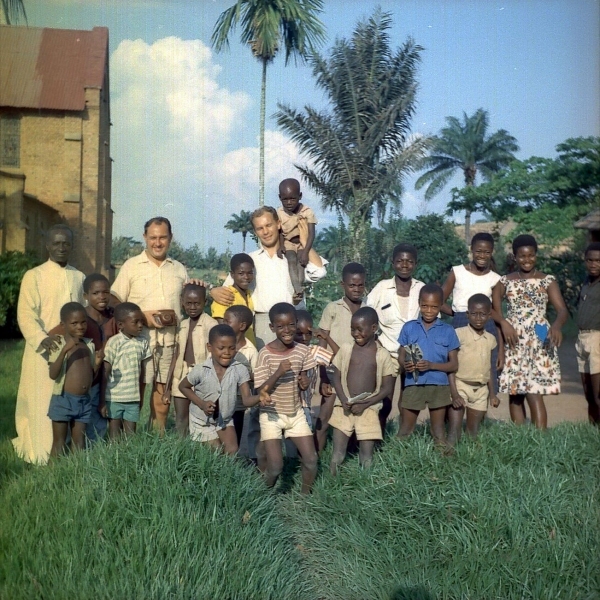 Crowded tarmac in Manono during the relocation of the Baluba tribe in July 1962. 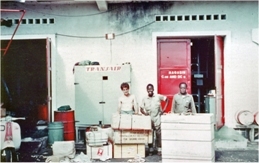 The fashion gang from “The Baluba Jet Set” after unloading at Manono. 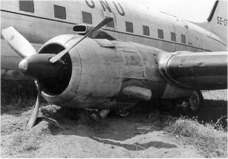 …and the politician´s name was Mobotu. 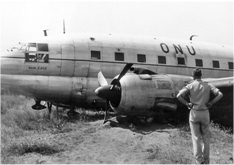 The UN headquarters at Manono. 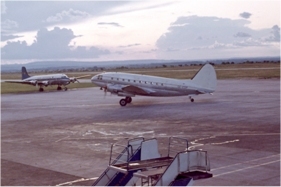 Transair C 46 operating for ONU at Kamembe/Bukavu airport. 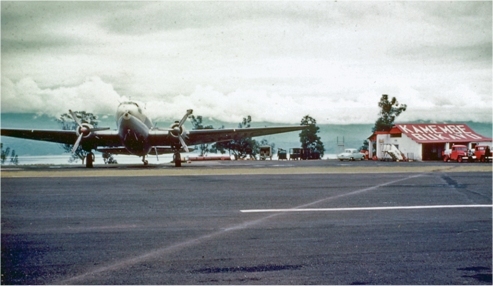 Terminal and tower at Kamembe/Bukavu. 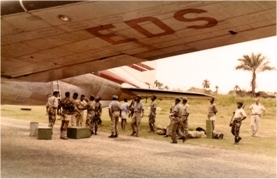 A UN soldier from Ghana, killed in battle, will be flown home. 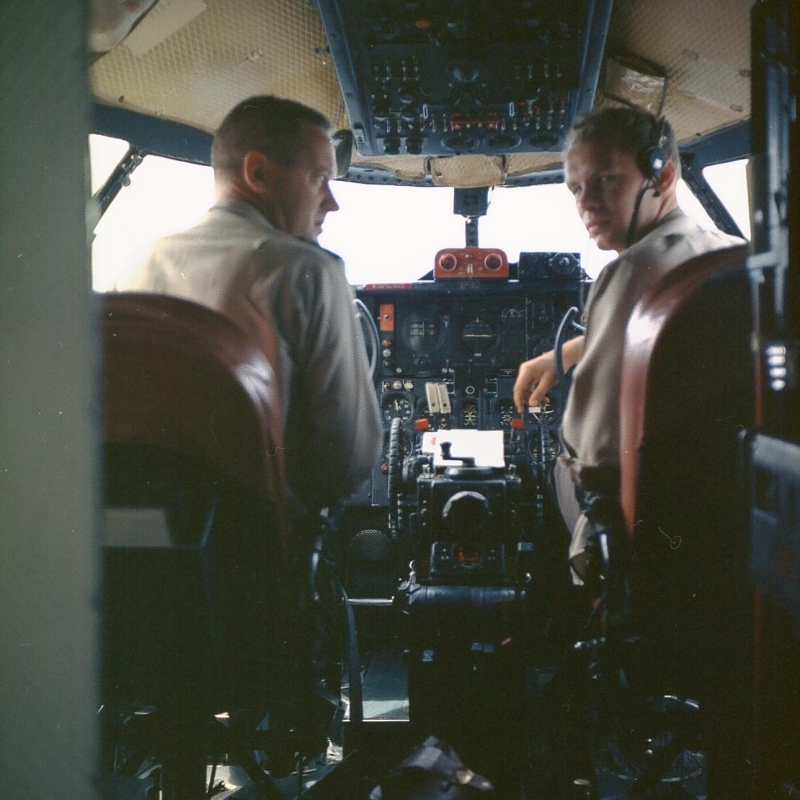 These photos were taken after the landing accident with SE-CFB at Albertville on June 8 1963. 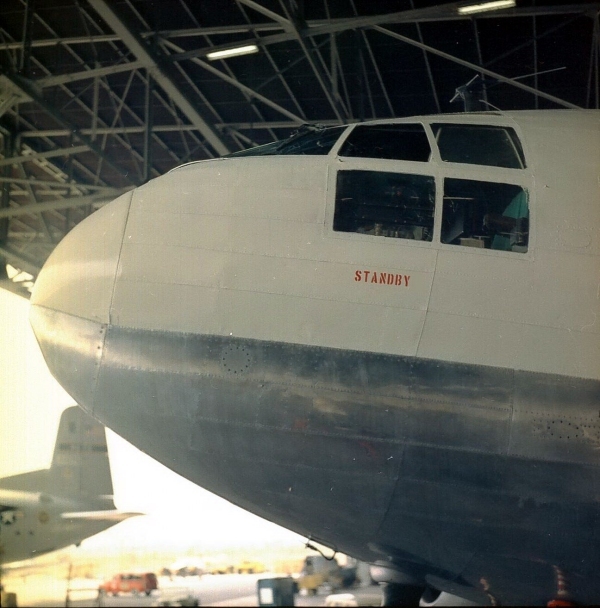 The nose section was later used for repair of SE-CFC. 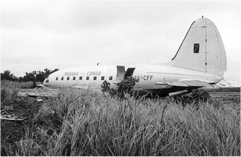 This photos show a takeoff accident with SE-CFF at Thysville, west of Luluabourg on Jan 13 1964. 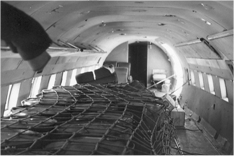 The aircraft was scrapped on site. 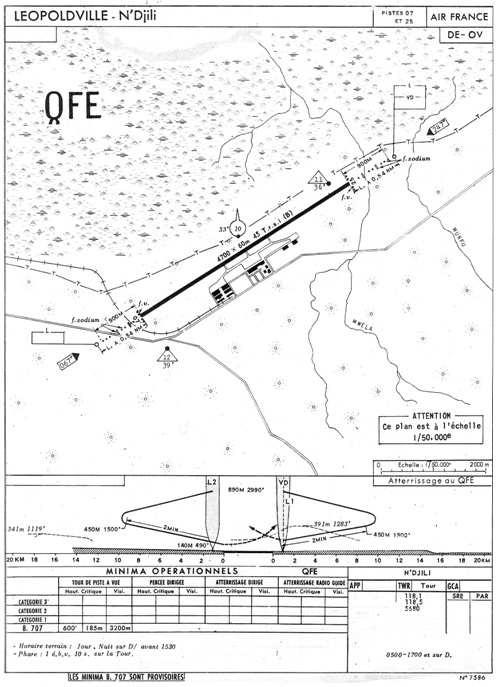 Landing chart from Leopoldville N´Djili Airport from the time of TSA operations in Congo. 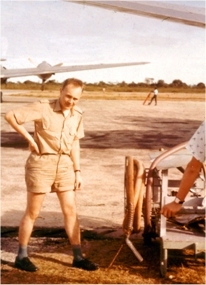 These photos were all taken by Rolf “Mellis” Mellström during the Congo Operations.